The prepayments only exist in Preno, and not in Xero. The result of this is that the integration can't complete the next step of the invoicing process, and an error is returned. Sometimes an imported payment won't use the Imported payment type. When this happens, the same process as above fails and the booking can't be checked out. If this happens, contact our support team and we'll go through the necessary actions to fix this. 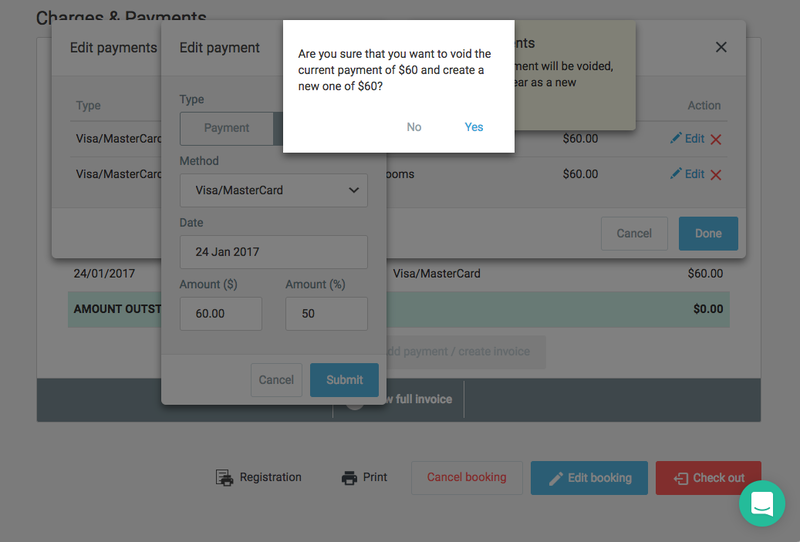 Once the Xero integration is enabled, you'll need to edit the payment. Editing and saving the payment will make Preno create the prepayment in Xero. 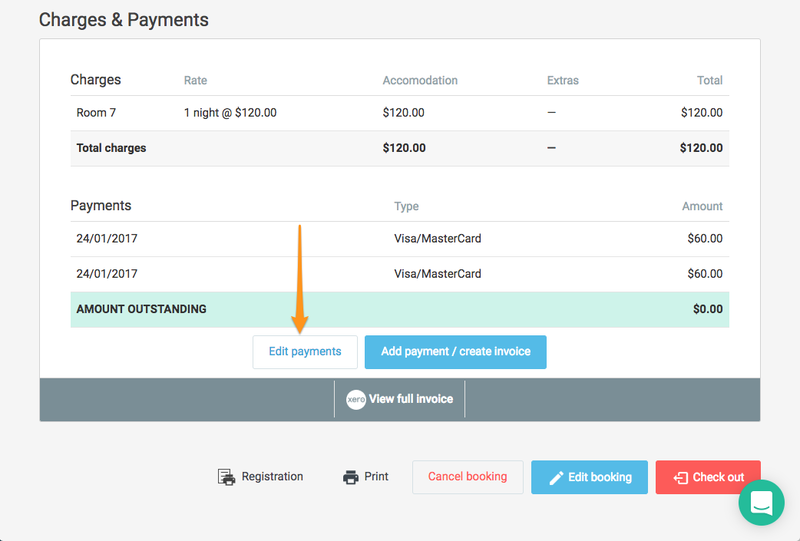 Click Edit payments when you're on the booking page. This will bring up a new screen. Click Edit next to the prepayment - usually it'll be the first payment on the screen. You can also tell that it didn't get pushed through to Xero because there's no Xero logo next to the payment. This will bring up another screen, where all you need to do is click Save. When the confirmation appears, click Yes. Preno will now void the old payment and create a new one for you in Xero. Now that this is done, you're all set to check out the booking again. Now click Checkout and the booking will complete.